As the tensions in Syria have escalated into a US-led missile attack on Friday, several end-of-days experts weigh in on the situation, explaining who are the good guys, who are the bad guys, what are the real causes and what do Biblical sources say will happen. The rising multinational tensions in Syria burst into flames on Friday when US President Trump led a coalition with the United Kingdom and France in a missile attack against Syrian President Assad’s chemical weapons laboratories. This was in response to a chlorine attack Assad allegedly perpetrated last Saturday against the Syrian town of Dhouma, in which dozens of civilians were killed. Military forces from many nations are currently deployed in Syria with Russia maintaining air-bases in support of Syrian President Bashar Al Assad. A US led coalition has all but eliminated the Islamic State from the region. However, a myriad of rebel groups battling Assad in a seven-year civil war that has killed almost half-a-million Syrian helped create a Gordian Knot of mixed alliances. With the situation to the north of Israel spiralling out of control and the tensions rising, several end-of-days experts explain their geula (redemption) perspectives which may give more insight than political commentaries. Rabbi Yosef Dayan is a member of the nascent Sanhedrin, created to re-establish the Biblically mandated court of 71 elders. He also claims to be able to trace his lineage back to the Davidic dynasty. Rabbi Dayan sees the current situation on the Temple Mount as the source for what is happening in Syria and in many other parts of the world. “The Arabs have no connection with Jerusalem but they took it over the Temple Mount in order to turn it into a place of war,” Rabbi Dayan told Breaking Israel News. “They succeeded and now, because of the significance of the Temple Mount, that power of war is going out into the world. So much so that in Syria, Assad is killing his own people, which doesn’t make sense. Why would a ruler do that? It lessens his rule. Rabbi Dayan noted another evil that was set loose on the world by the Muslim world’s dominance on the Temple Mount. The rabbi sees the battle lines as being very clearly defined in terms of Jerusalem. Rabbi Matityahu Glazerson is an expert in Torah Codes. Rabbi Glazerson uses a special computer program to search for series of letters in the Bible in order to extract hidden messages. He released a video on Sunday explaining hidden aspects of the events in Syria. Rabbi Glazerson did a search and found the words “אסד רוצח” (Assad the murderer) in the book of Exodus. Connected to these words is the word “עמלק” (Amalek). He noted that just like the nation of Amalek attacked the weaker elements of the Children of Israel in the Exodus, the elderly and the very young, Assad’s chemical attack also targeted the weak. It was for this reason that Israel was commanded to battle Amalek forever. Rabbi Glazerson also found that in this code, the word ‘Amalek’ shares the letter “ע” (Ayin) which is included in the numerical letters of the current year on the Hebrew calendar, תשעח or 5778. This indicates, according to Glazerson that this murderous Amalek aspect of Assad would become even more apparent this year. 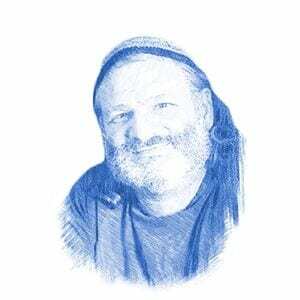 Rabbi Nir Ben Artzi is a prominent Israeli mystic whose predictions have frequently come true. In his weekly sermon published online on Sunday, Rabbi Ben Artzi assured his many followers that the recent American missile attack would not result in an escalation of hostilities. Rabbi Ben Artzi emphasized the divine aid afforded the US president in these events. The rabbi also offered a small bit of advice. Rabbi Ben Artzi blamed Syria’s misfortune on its sins against Israel during the Yom Kippur War in 1973. Syria played a leading role, coming dangerously close to annihilating Israel while inflicting massive casualties on the much smaller Jewish State. Beginnings of Gog and Magog: Whoever is for Hashem, come to me! Rabbi Pinchas Winston is a prolific author on the subjects of the Messiah and the End-of-Days, which he feels are entirely relevant to current events in Syria. For Rabbi Winston, the growing hostilities were divinely guided but entirely anticipated. Rabbi Winston is a student of history but emphasized that when viewed solely as a historical process, the situation to the north of Israel should not have played out as it did. “What is happening now, the threat to Assad’s government, should have happened years ago when Obama first took apart the Middle East,” Rabbi Winston said. “As a direct result of Obama’s policies, Mubarak, one of the most firmly entrenched leaders in the region, fell. Gaddafi in Libya fell. Saddam Hussein fell. Rabbi Winston noted that once the divine aspect of the conflict in Syria was made clear, the confusing jumble of alliances would begin to make sense. Rabbi Winston cited Moses’ call to battle as the deciding factor in choosing sides in the Syrian conflict. Rabbi Yosef Berger, the rabbi of King David’s Tomb on Mount Zion, sees the conflict in Syria as being more divine than mundane. Rabbi Berger emphasized that this was not just a regional conflict. The battle being waged in Syria has implications for the Moshiach (Messiah). Rabbi Berger cited Rabbi Jacob ben Asher, a 13th-century Biblical commentator known as the Ba’al Haturim, in his explanation of a verse in Genesis.